For small business firms such as those with employee strength less than forty, a much smaller system is economical and viable. One such system is the Key System Unit (KSU) widely used in small offices. These key telephone systems have individual line selection options to connect to every phone attached to the network. For business firms having employee strength fewer than ten, the KSU-less system can be used. 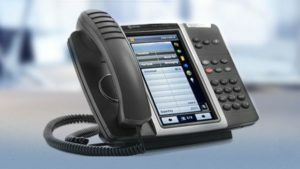 The telephones used in this system are equipped with the necessary technologies for business needs, and hence can operate themselves without the need of a central control system. The system is also easier for relocation due to lesser wiring and hardware requirements.While selecting a small business phone system, a system which is flexible enough to include and handle more telephone traffic in the near future, should be installed. The compatibility of the phone system with the existing equipments such as fax machines, modems, credit card terminals, and conference equipments should also be checked. It is best to opt for telephones with built in SIP (Session Initiation Protocol). Telephones with SIP are future ready phones as they support VoIP (Voice over Internet Protocol), the technology which enables cheaper and faster transmission of voice over internet. Advanced phone systems with automated call answering, and call messaging and routing features are also available for small business phone systems. These systems are economical in the long run since they avoid the necessity of employing dedicated phone answering staffs. The small business phone systems are easier to configure and install, and your company can save huge amounts on installation charges. The system will be highly helpful for clients to reach your customer care and vice versaBusiness Management Articles, and can ultimately improve the professional image of your small business firm.